For the Fallout faithful still exploring the West Virginian wastes of Fallout 76 , a few Vault-Tec Vaults have remained mysteriously off-limits – unless you accidentally get teleported into them. 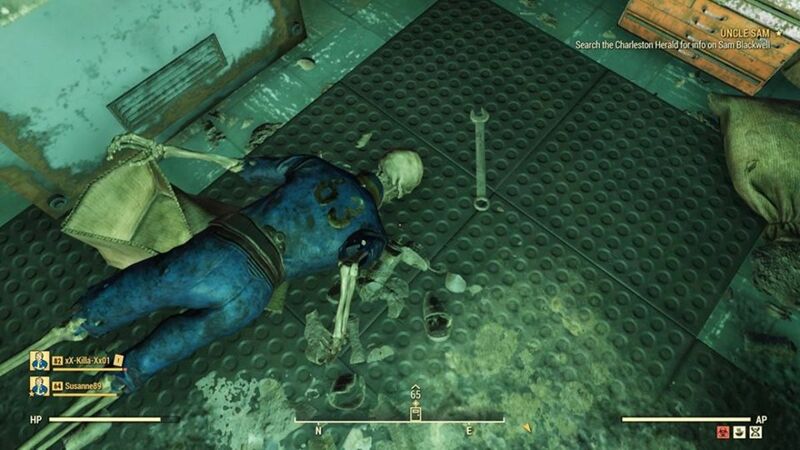 Reddit user McStaken has shared some sights from inside the currently locked Vault 63 after their group inadvertently warped inside with no way out (besides the trusty life-saver that is fast-travel). McStaken’s Reddit post explains how they got into this mess in the first place. “We entered the vault accidentally while doing a Rad-Rat Horde event,” they wrote. “We’re now trapped in here. So enjoy pictures and Bethesda, send a Vault-Tec rescue party!” No one could blame McStaken for documenting their unexpected venture beyond Vault 63’s sealed entrance, though there was some concern that even being there at all could result in a permanent ban. Bethesda set a precedent for banning those who explore unreleased content when it punished some players who entered the secret ‘dev room’ containing every item in the game (and then some). While most Fallout 76 players will have to wait until some in-game event opens up the locked vaults that dot the landscape, it’s nice to know that McStaken and co. weren’t punished for their unintentional foray into an unfinished level. It’s also fortunate that they weren’t stuck in there forever, lest they become more environmental-storytelling skeletons.